More transparency is always a good thing. The NBA’s officials have a, well, official Twitter account, @OfficialNBARefs. During last year’s NBA Finals, the account interacted with fans throughout a game, and the resulting exchanges went well enough that the league is reportedly expanding the scope to include “high-profile” games the rest of this season. During Monday’s Golden State Warriors at Los Angeles Lakers game on TNT and Wednesday’s San Antonio Spurs at Philadelphia 76ers game on ESPN, fans can tweet @OfficialNBARefs or use the hashtag #RefWatchParty to get responses from officials who are watching the game. The officials doing the tweeting will have replay center access to aid their tweets, which makes sense as well. 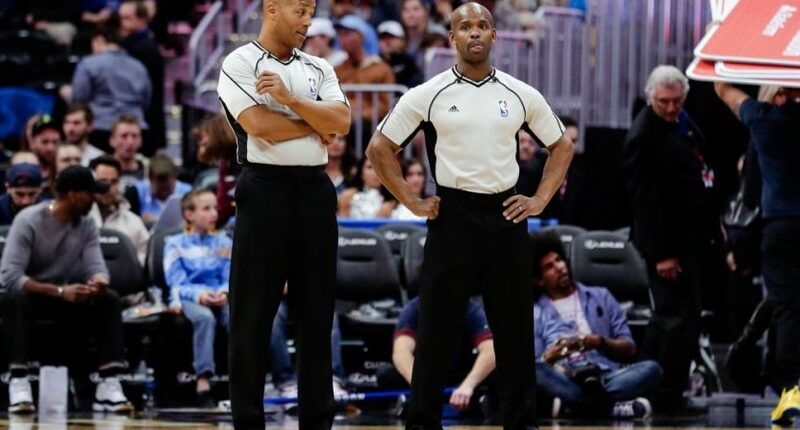 This season, the NBA league office has agreed to work in collaboration with the referee union on this project. As part of the deal, the tweeting referees will have access to the league’s replay center in Secaucus, New Jersey, just like the officials who are on duty that evening, so they can have all the angles available to answer questions. Though the NBA definitely deserves credit for being so transparent in an area other sports tend to hide from as much as possible (imagine MLB umpires critiquing balls and strikes during a World Series game), this should be something the league tries to expand even further going forward. A dedicated nightly presence going over and explaining calls would be very helpful. That’s obviously something the league would have to work out with the union, but it might be worth it. If the fear is that the refs doing the game might look bad, it’s a misguided fear. Fans generally know officiating is incredibly difficult, especially in real-time without benefit of replay. It’s much less frustrating for people to hear “Yeah, they got that one wrong, huh?” then it is to hear “Nope, we’re all good, they nailed it” in the face of an obvious miss. Pretend infallibility is infuriating, and it leads to way more conspiracy theorizing and ref-blaming. But if you’re admitting the calls that are wrong while giving insight into the process, it’s going to help a lot. Hopefully it’s something the league keeps striving towards, and maybe other leagues will follow along eventually.